Dover, Kohl & Partners joined Gary Justiss and Mike Watkins, Architect to plan a new community on Smith Lake, Alabama. 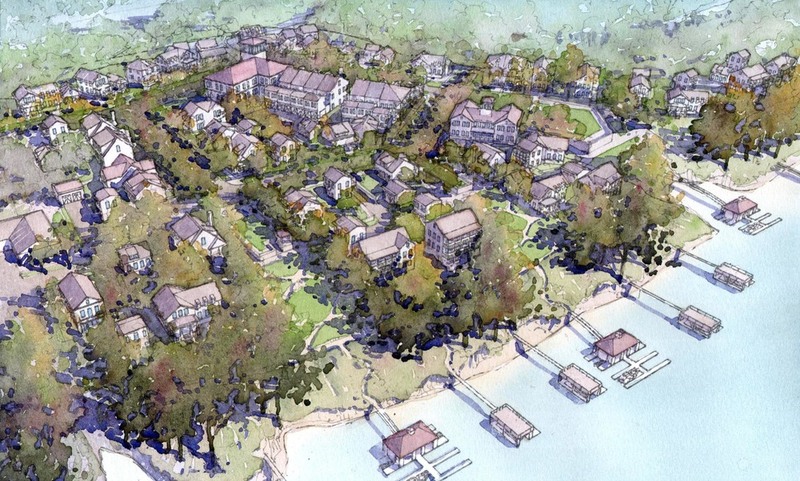 The new 160+ acre Lakeside will give Smith Lake its first walkable center. 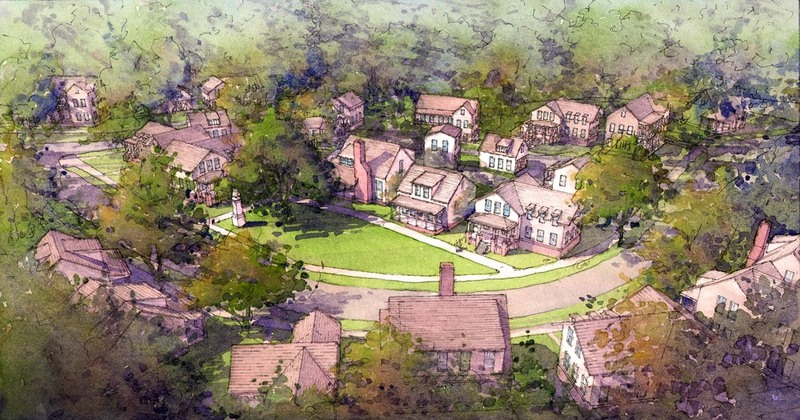 With more than 300 lots, the homes along the ridges will be connected by a series of paths and within walking distance of a range of greens, playgrounds and parks. A diverse mix of housing types range from large, stately waterfront homes for the affluent and large families to small cottages and townhouses for new couples or second homes. The one-week charrette was hosted by One Seventeen Partners. Large percentages of the home sale profits will be used to support charity and mission projects around the world. Further refined after the charrette, the Lakeside Design Code articulates design parameters for the built environment that encourage social interaction. These guiding principles for Lakeside regulate the community as a whole (a community of hamlets and neighborhoods), the public realm (thoroughfares and civic spaces), and private properties (lots and buildings). Transect-based planning provides for variety from edges to centers.